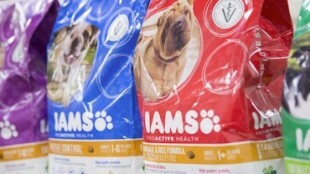 Cincinnati, Ohio – The Procter & Gamble Co. (P&G) has announced it is selling its Iams and Eukanuba pet food brands in Europe to Middleton, Wis.-based Spectrum Brands Holdings Inc. for an undisclosed amount. The agreement includes 42 markets in Europe, and marks the end of P&G’s pet care business. In April P&G sold 80 per cent of its global pet care business to Mars Inc., including North American and Latin American markets. Mars later bought an additional 10 per cent of the P&G business in markets including Japan, Australia and South Africa. Spectrum Brands Holdings Inc. is a consumer products company with a diverse portfolio including pet care brands Tetra, Furminator and Dingo. With the addition of the P&G brands, which have annual sales of roughly $200 million, Spectrum’s United Pet Group unit will have access to the growing pet food market in Europe. According to P&G the divestiture of its pet care business will allow the company to focus on its core businesses such as laundry detergent and diapers.